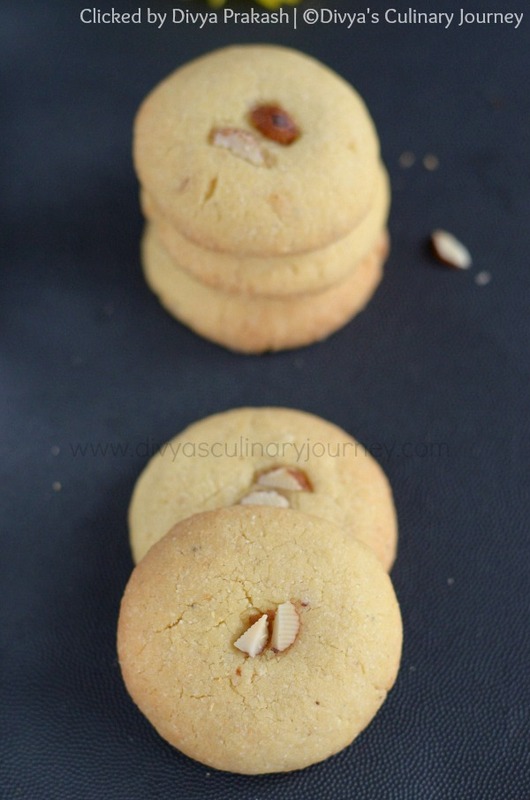 An easy recipe for egg less saffron Shortbread cookies. These aromatic shortbread cookies are perfect as edible gifts during any festival or holiday season. Pre heat the oven to 170 C and prepare the cookie sheet by lining with silver foil or parchment paper. Soak Saffron in 2 Tablespoons of Warm milk for at least 10 minutes. Peel the skin and powder the seeds of cardamom with 1 or 2 Tablespoons of Sugar. In a bowl, combine all purpose flour, gram flour and sooji. To this add baking soda and powdered sugar and mix well. Now add the soaked saffron along with the milk and powdered cardamom and mix well. Melt the ghee and add it little by little to this flour mixture and mix well. The mixture will be little crumbly but will come together if rolled. 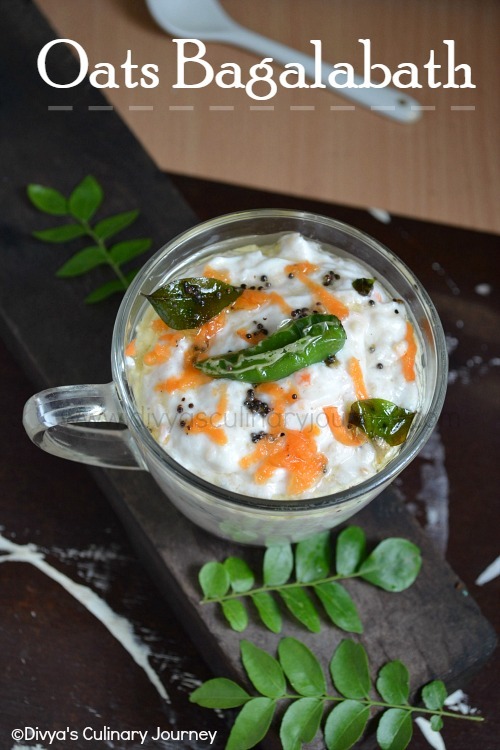 If you feel the mixture is not coming together add some more ghee (1 or 2 teaspoons) and mix. Divide the mixture into 16 equal parts. Roll them (they will be approximately in the size of a small lemon) and flatten them slightly. Press chopped nuts in the centre. Arrange these in the prepared cookie tray. These cookies will expand while baking, so leave enough space in between. Bake them for about 15-20 minutes till the sides turn slightly golden. When removing from the oven the cookies will be soft. Let them cool completely. Then they will get the cookie texture. I have used Besan / Gram flour here. If it is not available, you can replace it with all purpose flour itself. If you don't have saffron strands, you can use saffron extract too. Instead of clarified butter / ghee, you can use melted butter too. Baking time varies with each oven. Mine was done a little over 15 minutes, in about 17 minutes. So keep an eye after 15 minutes. If it is not done, bake for couple of more minutes, check again, repeat the process if needed. 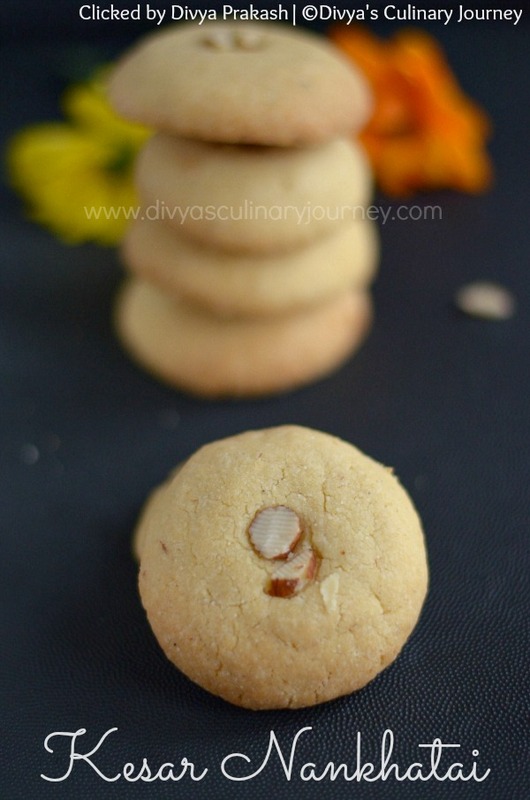 Nankhatai has turned out perfect & yes they do make a great gift for Diwali & for Christmas as well. Yumm looking nankhatais....adding kesar is an interesting idea! Your saffron cookies sound absolutely lovely! Delicious cookies, I must try your recipe. I love cookies like this! They look awesome. And the addition of Cardamom to them must make them over the top delicious. The fragrance and flavor or Cardamom is so wonderful. Thanks for this recipe. Perfectly baked Nankhatai. They look so crispy & delicious. These look so delicious, I would love to make these with the kiddoes. Delicious and flavorful cookies,perfectly baked. I have no doubt your cookies are delicious! I adore cardamom and love to experiment with it in baking. 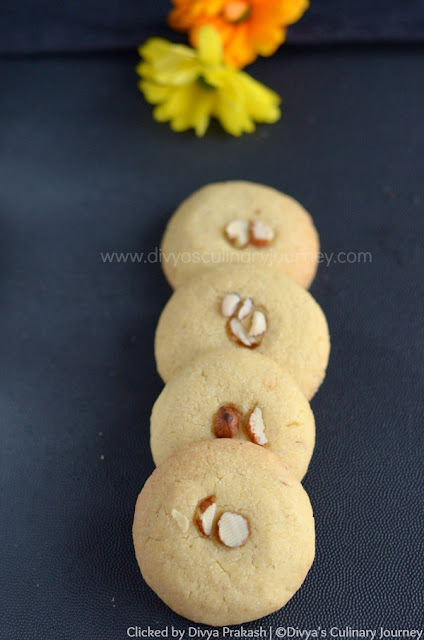 Love these cute little cookies divya ..Looks so good.. They're so pretty! Would definitely make a great holiday gift. What a great gift idea this is! Hubby is going to India soon and getting me some saffron so now I know what to use them for! Delish!!! What an absolutely adorable cookie, these make a fantastic holiday treat! I can imagine the flavor from the saffron! They look delicious! Such a beautiful, delicate sounding treat! Bookmarked to try later! Too cute and super cite nankhattais, especially the addition of saffron.Loving it. 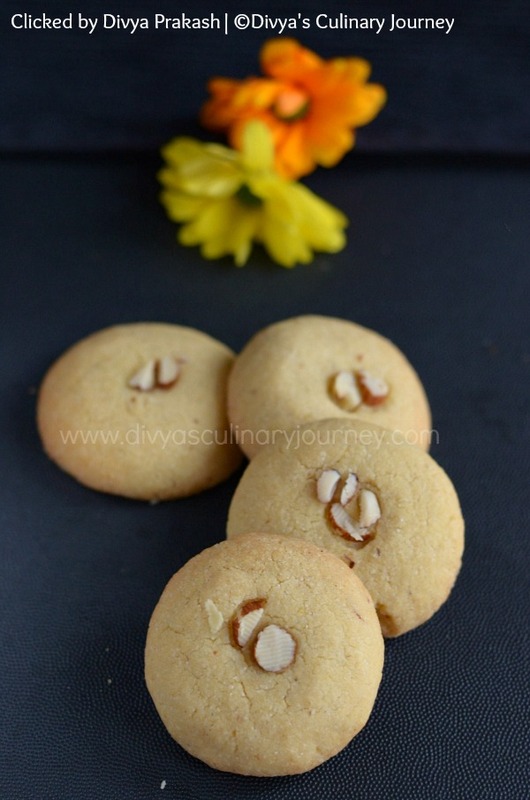 Looks like the Nankhatais have turned out perfect!..I love the texture and feel of these cookies..